Happy 36th Birthday Voyager 1! 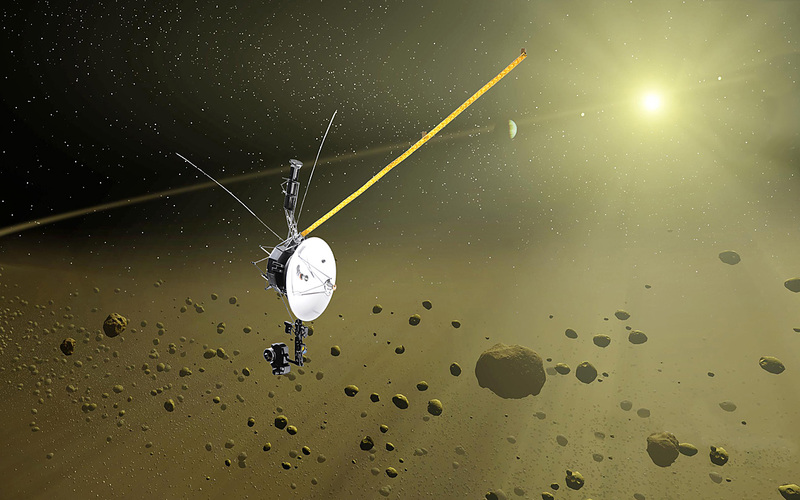 Home » Events » Happy 36th Birthday Voyager 1! Happy 36th Birthday Voyager 1! We Hope You Aren’t too Lonely! Voyager 1 was launched by NASA on September 5th 1977. It is one of the most exciting spacecrafts NASA has launched simply because it’s travelling as far as it can go and it’s pushing the boundaries of space exploration. It is traveling at a break-neck speed of 17 km per second! For some comparison Earth orbits at 28 km per second. One of the saddest things is that Voyager 1 will no longer be able to power any of instruments in 2025. It’s amazing to think we were able to build something that would last at least 30 years in space where it’s astronomically difficult to account for everything! One of Voyagers first pictures was of Jupiter. One of the most controversial topics is whether Voyager 1 has actually left our solar system. This doesn’t mean has it gone past Pluto because it’s three times as far as Pluto. But whether it’s out of the host stars gravitational pull. Some scientist suggest that Voyager 1 has been out since July. Others suggest it is still within our solar system. Here’s a supplementary image to help you understand where it is. Voyager 1 is approximately 18.7 billion km away from Earth and counting! I think when you consider how long it’s been traveling for and how far we actually are it makes you appreciate how gigantic the universe is! Even the speed of light will still take us 4 years to get us to the nearest star system. All in all we wish Voyager 1 a happy birthday and proud that it has made it that far. Even when it dies one day it will still have the infamous golden record which will one day reach alien life forms (for better or for worse). We love you Voyager 1! Does not share link to facebook. Yeah I’m trying to fix this issue. It’s not playing nice.